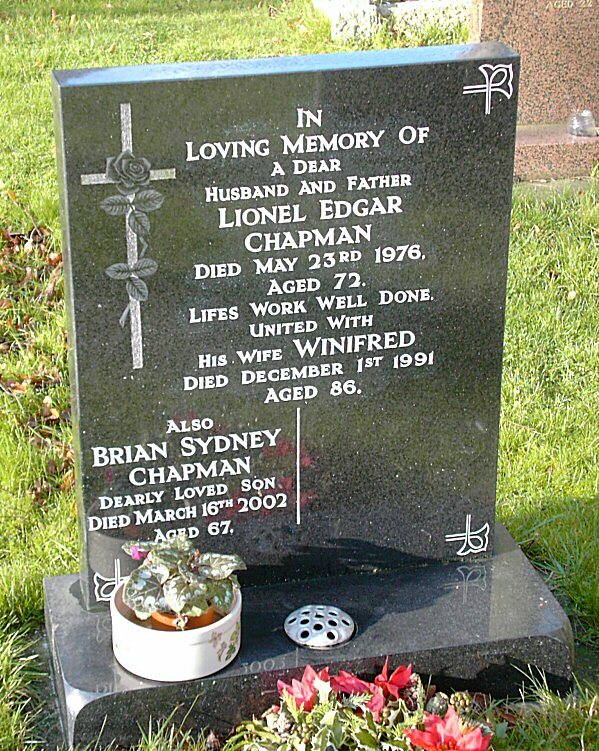 In loving memory of a dear husband and father Lionel Edgar Chapman died May 23rd 1972. Lifes work well done. United with his wife Winifred died December 1st 1991 aged 86. Also Brian Sydney Chapman Dearly loved son Died March 16th 2002 Aged 67.